Chelsea are understood to be lining up a move for Liverpool striker Rickie Lambert, with Didier Drogba expected to leave the Blues at the end of the season. The Blues boss Jose Mourinho signed Drogba on a free transfer from Galatasaray last summer, as a back-up for star striker Diego Costa. Drogba's contract at the Blues expires this summer, and there has been speculation that he could well call quits on his playing career. According to The Mirror, Mourinho considers Lambert to have the potential to fit in for Drogba for the next campaign. 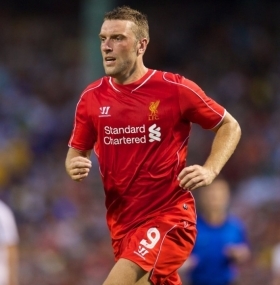 Lambert was tracked by Chelsea scouts during Liverpool's 2-1 win over Queens Park Rangers last weekend.